York Jazz Initiative are running a two day workshop for young musicians on August 11th and 12th, offering the chance to hone your jazz skills with the help of professional musicians for only £20. The workshop is for any young person in full time education (including higher education) and is designed to help young people develop their jazz performance skills whether they are experienced jazz soloists or have never played jazz before! 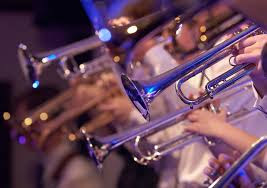 All young musicians would benefit from this workshop as it will widen their harmonic knowledge, help them get to know their instrument better and build their confidence plus having lots of fun! The workshop tutors are all high quality professional jazz musicians as well as experienced educators and the workshop will be led by York Jazz initiative's Musical Director Ian Chalk. Attendees will learn how to begin to improvise with their instruments or voices or add to their existing skills in in fun-filled and encouraging environment. As the workshop progresses they will have the opportunity to perform with the tutors and have the thrill of playing with professional jazz musicians! This workshop was made possible through the generous support of the Ronnie Scott's Charitable Foundation. For more information and to sign up, see the York Jazz Initiative website.